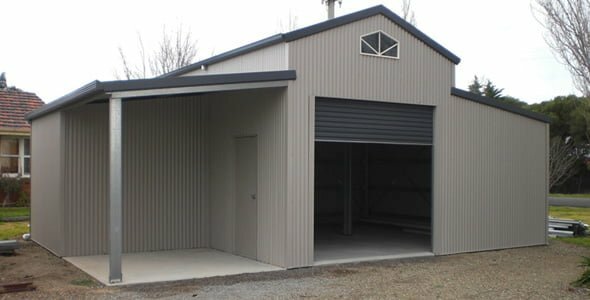 If you don’t weatherproof your shed or any other structure, there’s a chance that water will seep in, eventually causing damage to your shed, as well as the equipment and items that you so carefully stored there. Obviously, that can’t be a good thing. In fact, such problem may even prove to be quite expensive in the long run. As much as possible, your shed should not directly connect with the soil underneath it, as it will need some “breathing space” to be more effective. You can use a concrete slab to separate the structure from the soil. However, this may involve some work, which may include ground levelling, digging, frame building, concrete mixing and other constructions. If you want an easier option, you can make use of concrete blocks as support instead. In this case, however, you’ll need to position your structure in a way that no “water pools” will form under it. Glass windows can easily be broken by strong winds, falling trees and debris, especially during a storm. To prevent this, boarding up the windows is the most practical solution. You should secure not just the exterior of the shed, but the interior as well. Boarding up windows not only prevents the damage to the windows. It also keeps moisture and other elements at bay, keeping them from causing more harm. Since the roof is the part of the shed that’s most exposed to the weather and harsh elements, then it can be reasonably expected to have a fair share of damage. Accordingly, it would be advisable to regularly check your shed’s roofing for any leaks and fix them as quickly as possible. This will prevent the problem from getting worse and will keep your shed and its stored items safe. Complete your weatherproofing project by topping your shed with some waterproof paint. This type of paint has been especially designed for humid and wet conditions, and can also help keep your shed as durable as it should be. Looking for sheds that can withstand harsh weather and elements? Dial 1300 778 628 and speak with a Perth expert today.